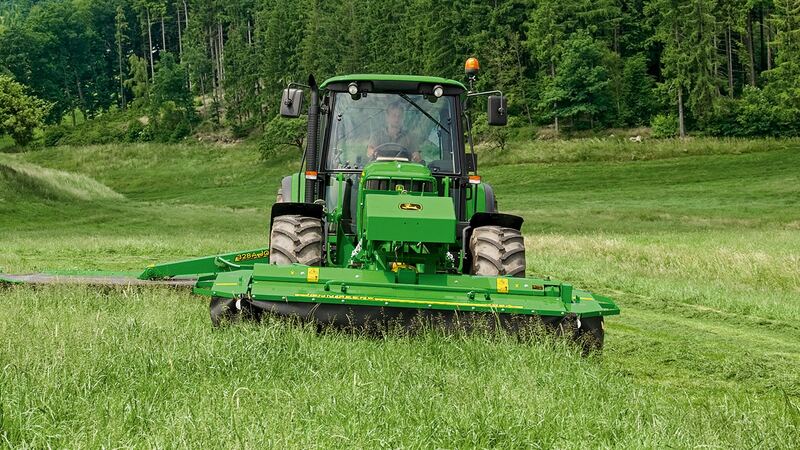 Used in combination with a rear mounted or trailed mower conditioner you can cut up to 6 ha per hour more. Front mounted MoCos are also great for working in tight spaces and alongside hedges or fences. 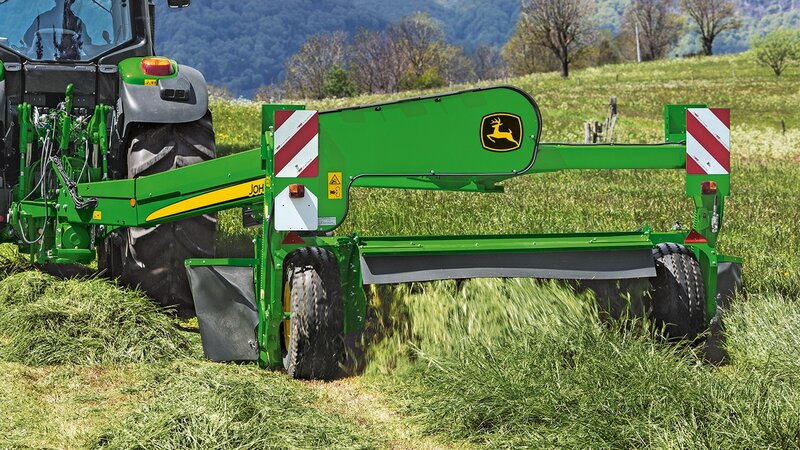 Choose one of our new F310R or F350R models and you’ll take performance to a new level with up to 3.5 m cutting width. These models feature an innovative new flotation system that requires no springs and minimises soil compaction. 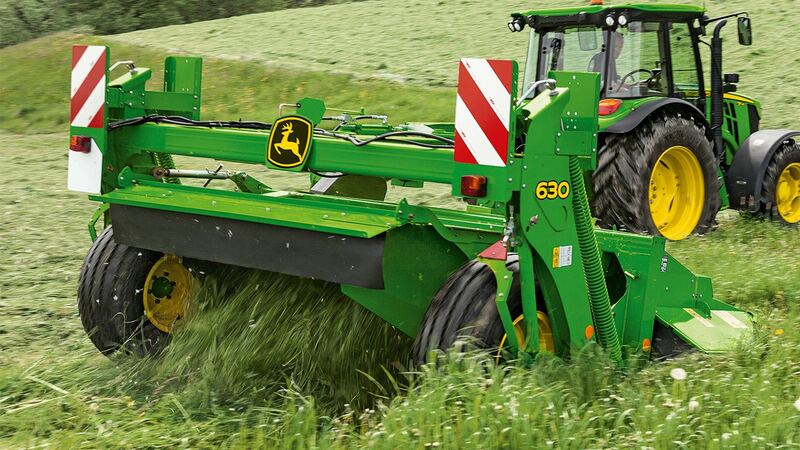 Our rear mounted mower conditioners are a proven, heavy-duty design. The 324A, 328A and 331 MoCos feature a pivot frame that follows the contour of your field for a consistent cut and smooth ride. 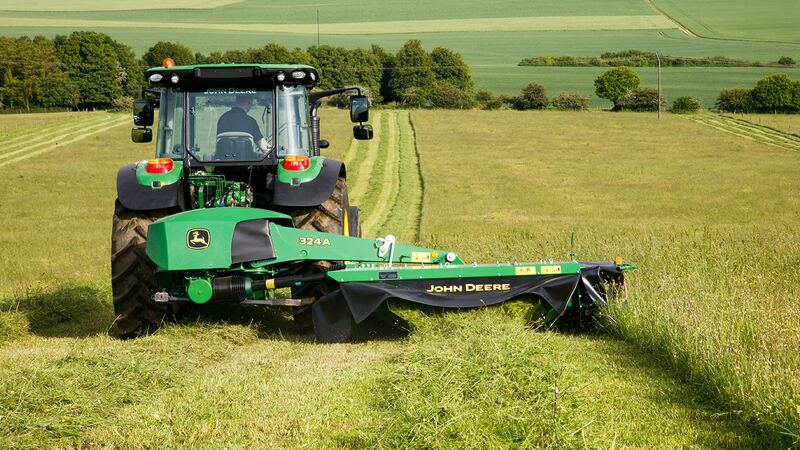 If reliability is your number one priority, you can’t beat a classic John Deere side-pull mower conditioner. The 1365 MoCo is solidly built and have an excellent reputation and resale value. Featuring a new, more aggressive impeller with cast iron pre-loaded tines you’ll get more done with a 600 Series mower conditioner. Producing a windrow shape that decreases crop drying time these MoCo are built to handle tough field conditions at high speed. 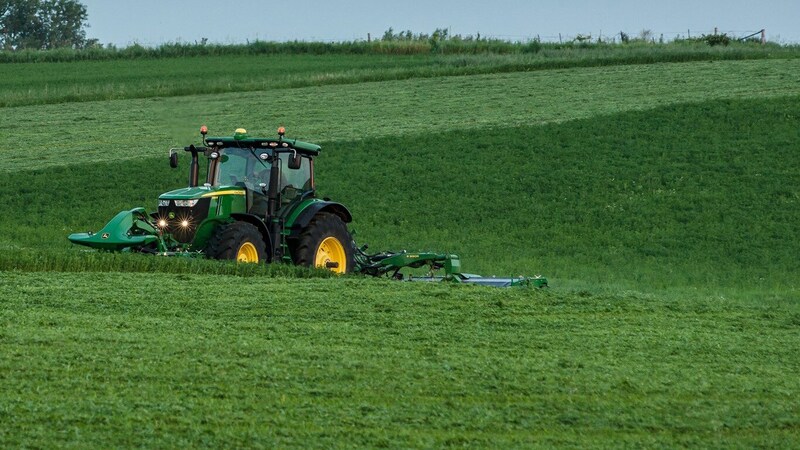 The centre pivot design of the 830 and 835 mower conditioners lets you mow back and forth across a field and get up to 15% more crop cut than a side pull MoCo. 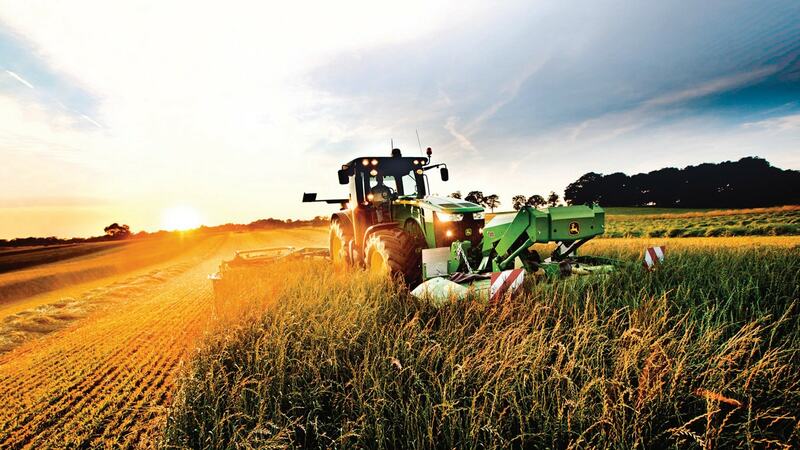 Their welded construction ensures excellent reliability while big, wide tyres reduce soil compaction by a third. 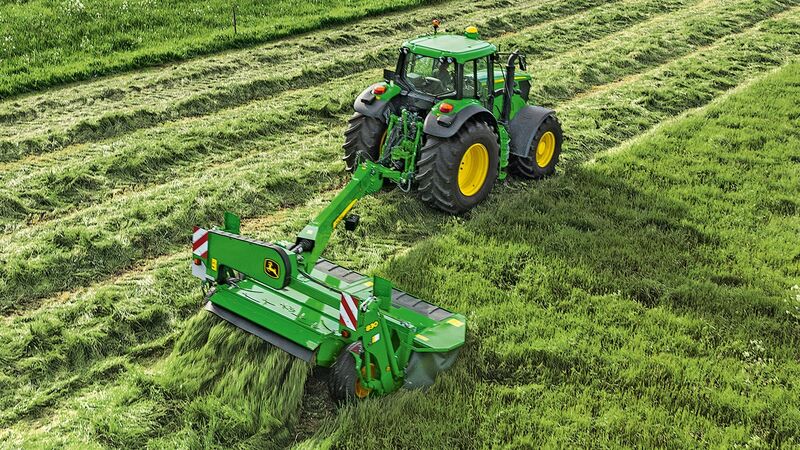 For maximum field output, the new twin rear-mounted R870R, R950R and R990R triple mower conditioners cut up to 9.90 m when used with a front MoCo. Add to this a brand-new, premium design and you’ll soon be cutting faster, wider and closer with every pass.